There are several different series of Gundam mech models. There's the 1/144 scale High Grade series, the 1/100 scale Master Grade series, the insanely intricate 1/60 scale Perfect Grade series, and more. Then, there's the super deformed BB Senshi series – the latest of which has been getting a lot of attention. Note: This post contains mild spoilers to Gundam Unicorn. The BB Senshi (or BB Warrior) SD scale Neo Zeong was released last week. This model has a rather unique feature in that – much like in the movie – it has the mobile suit Sinaju nestled snugly inside it. Thanks to modern model-building technology, the model can not only be posed to recreate various scenes from the last episode of Gundam Unicorn, but the docked Sinanju can also be taken out as a separate individual figure. Twitter users in Japan have also discovered a hilarious unofficial feature of the Neo Zeong model: Size-wise it's perfect for fitting other things in it as well. Twitter user @kirokira posted a narrative image series with the Neo Zeong as an upgrade for Mario. Other builders have noted the Neo Zeong is perfect for fitting Nendroid figures in it. 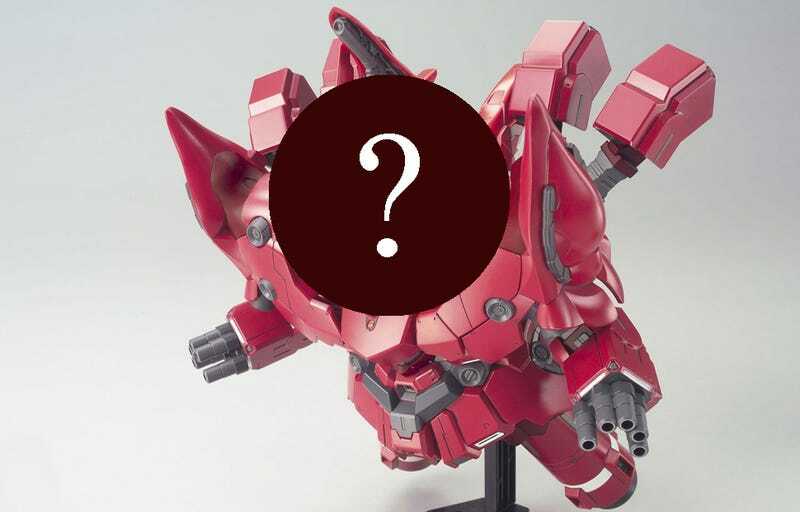 Nendroids aren't the only figures or models that are getting the Neo Zeong upgrade. And others have just gone nuts. The BB Senshi Neo Zeong is currently available in Japan at a much more reasonable price (￥2,160 (US$21.16)) than the upcoming High Grade Neo Zeong (￥27,000 (US$264.49)). Stuff you stick in it is sold separately.